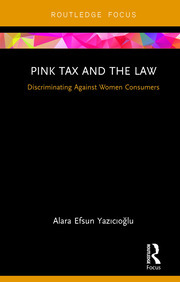 Dr. Alara Efsun Yazıcıoğlu is an assistant professor in tax law at Kadir Has University (Turkey) and an attorney at law. She is specialized in tax law and sports law. She worked formerly as a senior attorney at PwC Turkey, as a legal advisor at Oberson Avocats (Switzerland) and as a teaching and research assistant in tax law at the University of Geneva (Switzerland). She has publications on various aspects of tax law and sports law. Alara is specialized in tax law, international tax law and sports law. She has joined Kadir Has University in 2018 as an assistant professor in tax law. She previously worked as a senior attorney in PwC Turkey, as a legal advisor in tax law and international tax law at Oberson Avocats (currently Oberson Abels, Switzerland), as as a teaching and research assistant in tax law at the University of Geneva (Switzerland) and as an employee in the Compliance Department of Fortis Intertrust (currently Intertrust, Switzerland). Alara obtained her PhD degree (Dr. iur.) in 2016 from the University of Geneva. She holds an LL.M. degree (in Sports Law and Practice, the De Montfort Law School), a Master’s degree (in Economic Law, University of Geneva) and a Bachelor of Laws degree (University of Geneva). She also obtained a Certificate of Transnational Law from the University of Geneva and an equivalence in Turkish law (LL.B.) from the University of Galatasaray. Alara is fluent in Turkish, English, French and Italian. She has an intermediate level of German. She is a certified translator (in Turkey) both in English and in French. She is a member of the İstanbul Bar Association since 2017. Current areas of research: hidden taxes and taxation of e-sports.